Glow In Dark Fairy Window For Gypsy Fairy Gardens. 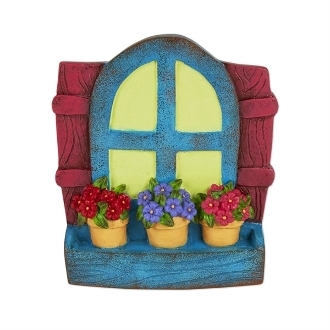 Full Description: Pair this cute gypsy window with the blue door for a coordinated, welcoming look! The hook on the back of the window makes for easy hanging! Features all-weather paint. Made of resin.